It’s no secret that a healthy, lasting relationship takes work. Real communication comes from understanding what you partner needs. Not merely wants or desires, but the fundamental needs that form their choices, values and unique personalities. There are six fundamental needs that all humans share and each of us puts these needs in a different order in accordance with our core values. Once you discover which needs matter the most to your partner you’ll know how to communicate in a way that satisfies and fulfills them. The first human need is the need for certainty. It’s this need that drives us to seek out pleasure and avoid pain, stress, and emotional risks. Ask yourself these questions: how secure is my partner feeling in our relationship? Does it feel more like a gamble, or is there certainty in the commitment we’ve made to each other? Is there certainty in our standard of living? We all find safety and comfort in different things. Have you tried being open with your partner about what gives them certainty? The second human need is the need for uncertainty and variety. Surprising events can be scary, but they can also be exciting and fun. How we face the unexpected dictates the way we build character and our ability to do more in life. Are there enough healthy challenges in your relationship that you and your partner can tackle together to ensure that you grow together, too? Significance is the third human need: we all need to feel unique and important. You can already feel how important this is in your relationship, right? Because your partner needs to know that they are important, that you need them, in a singular way — that they fulfill your needs in ways that only they can. How do you demonstrate to your partner, not just tell them, that they are significant to you? The fourth basic human need is for connection and love. Every human needs to feel connected with others; after all, we are social animals. Knowing that we’re loved can make us feel at our most alive, but absence of love can cause pain like nothing else can. Too often we automatically say “I love you,” and forget to show love in a real, tangible way that speaks to our partner’s needs. Reverse this pattern: consciously show your partner that you love them every day, and by doing that, your connection will deepen. One piece of advice you should always heed: remember, love is about giving, not getting. Growth is the fifth human need, because the human experience is one of motion. We constantly endeavor to evolve along the different paths that interest us the most, whether these are emotional, intellectual, spiritual, or otherwise. Your partner has the need of growth as much as you do. When was the last time you supported your partner’s growth in the areas that he or she are most passionate about? The sixth and last human need is contribution and giving. As Tony often says, the secret to living is giving. Contribution is our source of meaning — it determines who we become and solidifies our legacy, who we are and our role in the world. Consider what you give to your partner. Are you giving your time? Your undivided attention? The benefit of the doubt? A second chance? There is one surefire way to know if your partner is getting these six human needs met in your relationship. Listen, truly listen reflect on what your partner says, and if you’re not sure what he or she means, then ask by restating their point and asking if you understand correctly. Your partner may be communicating exactly what the problem is, but if you’re not listening, you’ll miss it. Resist the pull of just waiting for your partner to finish what they’re saying so you can launch into your “turn.” That isn’t listening. Instead, listen with a calm, open mind, and really hear what they are saying to you. 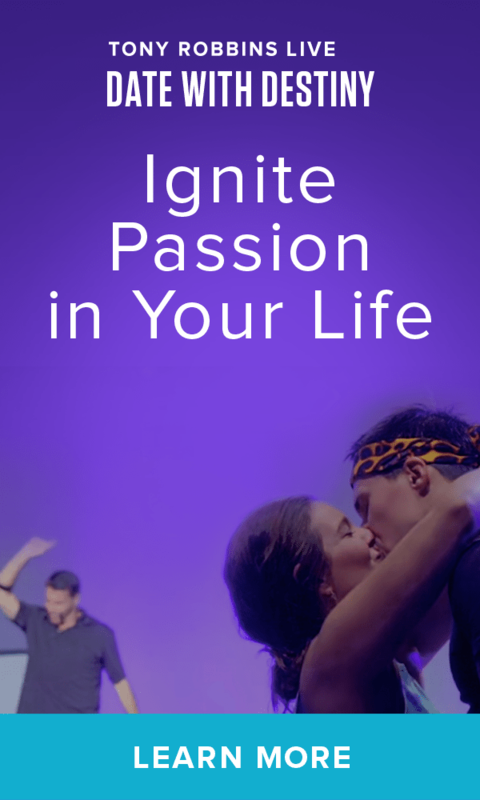 To dive even deeper into Tony’s philosophy on Human Needs and connection, take a look at his most intimate event, Date With Destiny.